PAX is nigh! Nigh means that it’s right on top of us! I’m talking Imminent PAX-AGE. I’ll be hanging around the Kris Straub and Mickey Neumann Two Iron Thrones show at the Triple door! 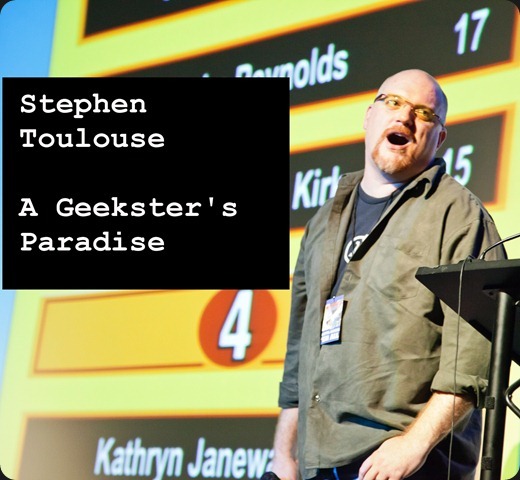 Join Stephen “Stepto” Toulouse alongside a panel of expert gamers who happen to be women who have served our country. We’ll discuss tropes, cliches, and good examples of how to portray women in military scenarios, and take your questions about how the industry can better portray women as more than just “female armored men” and instead be the strong military members they actually are in real life. Please join Stephen “Stepto” Toulouse along with Chet Faliszek from Valve software (Left 4 Dead) and Dean Hall (Bohemia Interactive) alongside other zombie game industry vets in a discussion around what attracts gamers to zombies, inspiration when making a zombie game, whether the genre needs a break, and where do we go from here. 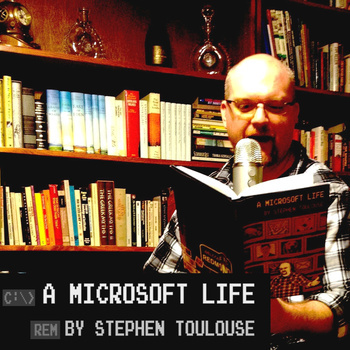 I’ll be at Cards Against Humanity LIVE at the Triple Door! Then right after, please join me and many other guests as we remember our friend Ryan Davis at a very special episode of the Cards Against Humanity PAX Panel at 9:30 in the Kraken theater. Join the creators of Cards Against Humanity and special guests to remember our friend Ryan Davis. As always, we’ll take card suggestions from the audience; the best ones will be included in the game and the worst will be mercilessly ridiculed. Out of respect for the wishes of Mr. Davis, no toe-shoes will be permitted in the theater. BYOB. I cannot stress enough how amazing and wonderful the Card Against Humanity panel is going to be. We’re going to be bringing all the feels yo, and laughing as hard as Ryan would want us to. Please join us so that we’re not all crying alone in the dark. Wow that escalated quickly! So here’s my current schedule for PAX East. Please note that due to the late breaking nature of my attending I am not able to have books and writings for sale, however I am happy to sign anything and please do stop me and say hi if you see me walking by! I will be interviewing/moderating a session with Robert Khoo, President of Operations and Business Development for Penny Arcade. This session will be about 65% interview format and 35% open Q&A from the audience. Join myself and Robert to discuss the unique challenges of operating such a diverse and popular organization. Also there might be some shenanigans. Saturday night at 6pm in the Manticore Theatre: Major Nelson Podcast! I’m back! For a special live engagement I’m taking my old seat as co-host alongside Larry, e, and Laura for Major Nelson Radio. We’re going to talk about PAX, what we’re playing recently, geek stuff, and Felicia Day will help me up the Red Head quotient of the show to say hi too. Sunday Morning, 11:30am in the Arachnid Theatre: The Harmonix Podcast LIVE! I’m going to drop in on my good friends at Harmonix for their live podcast. Other interesting people are going to be there too so it’s critically important that you keep it a secret. Because not only will it be like a totally exclusive thing that only you know about, I just realized I used the word only too close to another use of the word only and now the whole sentence is awkward. Come see the podcast. It will be totally only. If there are any updates to my schedule I will post them here, but more importantly, if you (YES YOU) have questions you would like me to ask Robert Khoo please post them in the comments.